The NanoLIBS-Q is a handheld LIBS analyzer which is customized to give quantitative measurements of elements for your samples. Chemical composition based on elemental analysis is measured on material where you need, without the need to take samples to a lab for lengthy preparation and analysis. The system delivers accurate results with calibrations developed for your application such as the Li content in batteries, the metal in alloys, the composition of catalysts, minerals or ceramics. With the NanoLIBS-Q you can quickly check the quality of your incoming materials or your products at the production line, ensuring product quality from start to finish. The rugged, IP54- rated system is designed to work in many environments. 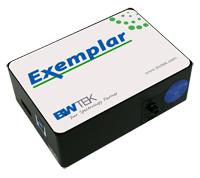 It gives you the capability to rapidly measure the composition of samples in the field. 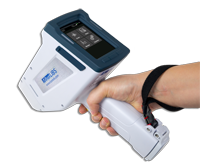 With its broad spectral range, you can detect the most elements, including the light elements Li, Be, C. The lightweight NanoLIBS-Q features a high brightness touch screen with an intuitive workflow. The point and shoot operation is used to measure samples directly with results displayed within seconds. The system features a rastering beam to sample an area of ~ 300 μm. Match box size with powerful and fast multi-GW/cm2 plasma generation at an extremely high repetition rate.